Avatel Technologies is a progressive full-service provider of voice, data and video communications solutions, including hardware, software, and network services. We strive to be a single source for design, implementation, and management of telecommunications systems. Avatel has been recognized as a Premier Partner with Avaya, receiving numerous awards for outstanding performance and exceptional customer service. Over the past 15 years, Avatel has been recognized as an Avaya Business SME Partner of the Year, Catalyst Telecom Partner of the Year and designated as an Avaya Partner in Excellence. Avatel’s core competencies revolve around communication solutions that drive the successful execution of business strategies. As an Avaya Edge Diamond Partner, Avatel maintains the highest level of certification on all Avaya products and services. It is our daily commitment to take care of the customers who entrust us with the most critical part of their business, their communications systems. Our commitment includes the constant training of our team on the new products and services available in our industry. Researching new products, services and software applications that are reaching the market every day is part of our sales and technical team’s responsibilities. From system configuration and design to implementation, user training, and maintenance, Avatel can guide you through all the steps involved in building your company’s communications. With a national focus on both sales and service, Avatel has developed an ever-expanding network of certified Account Managers. Project Managers, Engineers and Technicians from coast to coast and all points in between. Quality comes from a singular commitment to excellence. Excellence is never an accident; it is always the result of high intention, sincere effort, intelligent direction, skillful execution and the vision to see obstacles as opportunities. The prestigious “Avaya Partner in Customer Excellence” was awarded to Avatel for achieving superior customer satisfaction including both sales and support services to Avaya customers. Only a select group of Avaya Business Partners have attained the “Partner in Customer Excellence” designation. This certification honors both Avatel’s high level of customer satisfaction and technical expertise. This designation is truly a reflection of our entire corporate focus on customer service. Achieving consistently high levels of customer satisfaction is one of the best ways for Avatel to compete effectively, grow our customer base and increase profit. Customer satisfaction is essential to the survival of our businesses and is a key performance indicator within our business. Avatel, was created based on a single driving principal; Customer Satisfaction. Making Customer Satisfaction our #1 Priority – Living by the premise that by meeting and exceeding our customers’ needs, they will continue to do business with us and will recommend us to others. Our mission is to provide the finest-quality products and world class service to our customers and to do this more efficiently and economically than our competitors. We believe that volunteerism and community involvement are essential to Avatel’s success, as it provides an opportunity for team members to connect with the community, and it affirms the values of the company. Avatel employees feel very strongly about supporting others in need and make it a standard part of both their personal and professional responsibilities to donate both their time and money to helping others. Avatel is proud to support Metropolitan Ministries, The Association for Retarded Citizens, Shriner’s Hospital for Crippled Children, Susan G Komen Breast Cancer Foundation, Red Cross, Salvation Army, Quarterly Blood Drives, American Cancer Society, Light the Night for Leukemia and Lymphoma Society, National Multiple Sclerosis Society and the YMCA for kids program. Avatel has a strong commitment to making a difference in the communities in which we reside, so we implemented our Avatel Giving Back program in 2012. Avatel donates one Avaya phone system each quarter, including project management, implementation and training to worthy non-profit organizations. Avatel owes most of its success to its employees and believes in a holistic view of the organization, recognizing the important role that its employees play in the bigger picture. Avatel believes that successful cultures are built by cultivating and keeping happy, hard-working people and to be most effective, every employee must feel empowered to participate, communicate and innovate. Avatel strives for a workplace where opportunity, openness, enthusiasm, diversity, teamwork, accountability and a sense of purpose combine to provide a rewarding professional experience that promotes fairness, dignity and a respect for all employees. Avatel has been recognized by the Business Journal as a “Best place to work” for multiple years. 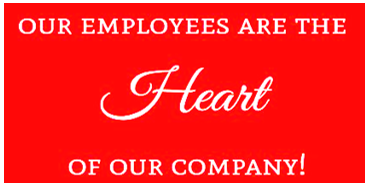 Everyone wants to work for a company that’s loved by its employees and loved by its customers. An environment where our team members enjoy coming to work every day, where there’s a feeling of camaraderie and good fellowship, where people care about their work and the people they work with. Avatel is committed to leading by example. We empower our people and our organization with the skills, tools and opportunities to scale new heights and reach a new pinnacle of success – both personal and professional.